The Axact scam is only one side of the story. Perhaps, it highlights the “supply” side of the issue, where any degree can be “purchased” for the right price. What about the other side – the “demand” side, where we look for shortcuts to “purchase” degrees? Declan Walsh published a story in the Newyork Times about a huge fake degree racket, with its base in Karachi. In the South Asian context, it is not a question of one firm in Karachi alone; the issue is widespread all over the region, and unfortunately is seen as a serious issue either by the State or by the Society. The government of Pakistan ordered a probe and even arrested few employees. The firm denied the charges and threatened to take action against the paper. Given the nature of scam and its prevalence all over South Asia, the story should be taken more seriously. According to the story, the Axact provided degrees in the name of numerous Universities (most of them sounding like reputed Universities, for example Barkely and Colombiana!) ranging from engineering to nursing. Some of the degrees were even signed by none other than the Secretary of State John Kerry! Welcome to the age of online Universities or innovative firms making use of the modem technology to create a huge network of hoax, from actors posing as Professors and multiple carefully crafted online acknowledgements from CNN to individual endorsements! All one needs is the required fund to acquire the “right” degree. If you can afford to “buy” a degree in a matter of weeks, why spend so much in enrolling, studying and going through the rigour? But the Axact scam is only one side of the story. Perhaps, it highlights the “supply” side of the issue, where any degree can be “purchased” for the right price. The advent of online curriculum and teaching institutions have resulted in mushrooming of web based colleges and Universities. What about the other side – the “demand” side, where we look for shortcuts to “purchase” degrees? The demand side is also equally responsible for making a mockery of education. For a civilization, that boasts of “Gurukul” origins, where students learnt their lessons through the hard, but the right way, the level of commercialization that one witness today in the educational sector is indeed unbelievable. Even today multiple societies from Baramulla, Poonch and Kishtwar to Madurai and Rameswaram take pride in teaching; for many of our teachers, it is a service and commitment and not just a job. If that has been the case, how did this situation come about, where education has become a business, that too of profit making machinery, of humongous proportion? How has South Asia slipped to a position, where none of our leading Universities figure in the top 100 at the global level? While we take pride in Nalanda and talk about its heritage and history, the harsh reality is Universities with a recent history in Singapore and Australia (and today some from even China!) have become the leading institutions in the Australasia, but not from South Asia. The issue is not just the supply. It is perhaps the demand. There is a slow and steady decline in what we expect our institutions of higher education to be. Look at the fate of teacher training institutions in our part of the world, where we are producing teachers, who are to train the next generation of students. We are willing to pay any amount, and even take pride in telling our relatives and friends, that how smart we have been in able to produce a degree without attending any courses. We are willing to bribe someone to write the exams on our behalf. If we have consciously lowered the standard of education, what do we expect from the institutions? It has become a pure business – where there is a demand, there would be a supply. 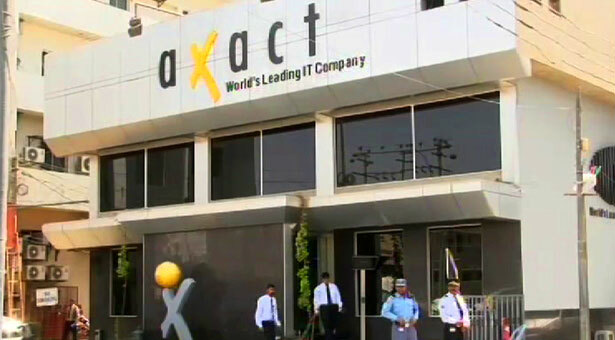 While the Axact in Karachi is only one part of the story – where degrees are provided for a price, there are other institutions in South Asia, that impart sub-standard education, allow students to copy or send proxies, as long as it able to produce hundred percent result. Perhaps, they have an obligation, because they have already taken the required as fee and donation. From schools to Universities, many institutions – government and private, which have been legally established also face the issue of standard. So the issue facing us – is not just fake degrees and online universities, but also the quality of education. More importantly, the real issue is our collective attitude towards education –whether in Pakistan or in India. The entire region is suffering from this malaise. For the State, unfortunately, education is the last priority – both at the federal and provincial levels. Take a look at the ministers of education at State and Federal levels, and the budget allocated to this crucial sector; except for few exceptions, the rule would reveal the abyss that we are staring into. How do we get out of this morass? Perhaps, we should go to our teachers for the answers. There are still well meaning teachers – from schools to Universities, who could show us a way out and revamp the system. Else it would be too late.